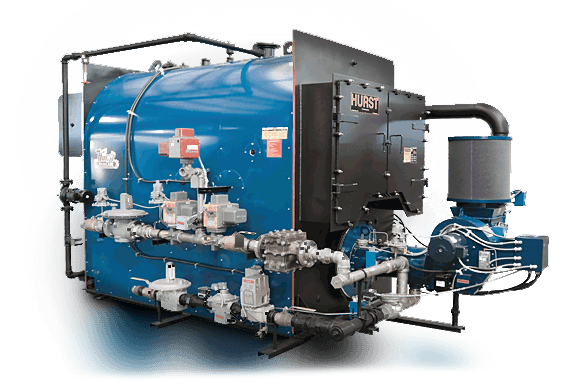 The Hurst Firebox is competitively priced, efficient and flexible three-pass boiler design allowing fuel flexibility for gas, oil, heavy oil, and combination gas/oil. The firebox boiler is ASME code constructed & stamped with the thickest boiler steel in the industry for 15 psi steam/30 water and registered with the National Board of Boiler Inspectors. The boiler includes unified refractory base floor, steel skids and lifting eyes.